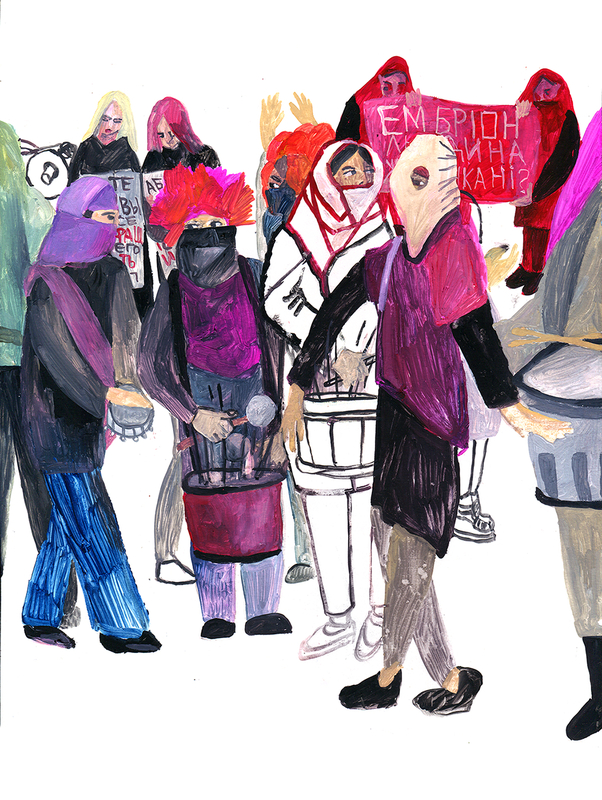 Feminist marches on 8th of March have been held at least since 2010 in Ukraine. This year, however, the organization of the event has gained massive criticism from inside feminist communities. Daria Popova rethinks the current situation and raises difficult questions. How did it happen that the march was captured by several resourceful NGOs and foundations? Why were the grassroots feminist activist initiatives excluded? How does the focus on the massive participation in the march depoliticize it and leads to silencing of urgent problems? What is the connection between neoliberalism, NGO-ization of resistance and depoliticization of feminist movement? How is feminist resistance against nationalism and neoliberalism possible here and now? (The full text is available in Ukrainian).